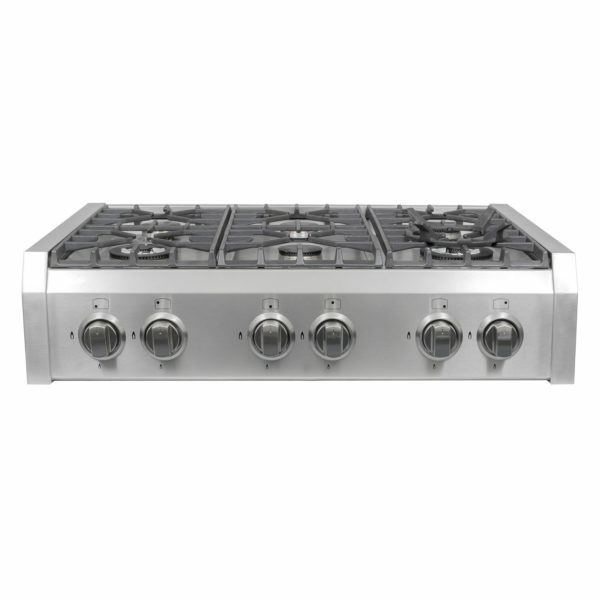 Cosmo Kitchen presents this Euro style cooktop. 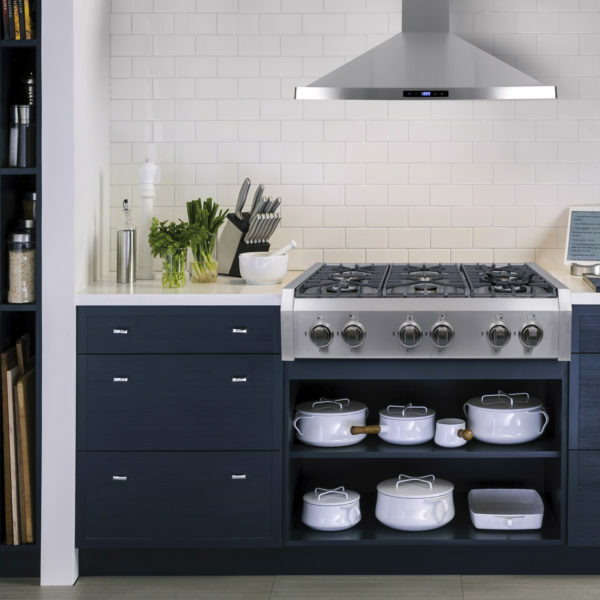 It’ll help you create meals like a professional chef in your own home. 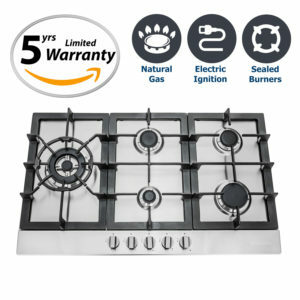 This cooktop features 6 gas burners including a 17,000 BTU Triple Ring Burner and 7,000 BTU Semi-Rapid Burner which allow you to cook from a high heat for boiling, frying or searing to a low simmer. 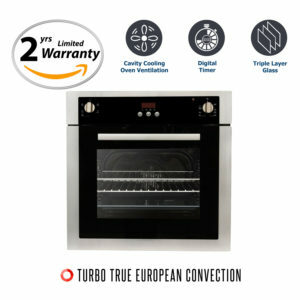 It also gives you the precise control demanded by serious cooks. Included are removable accessories which feature a cast iron griddle and wok attachment. 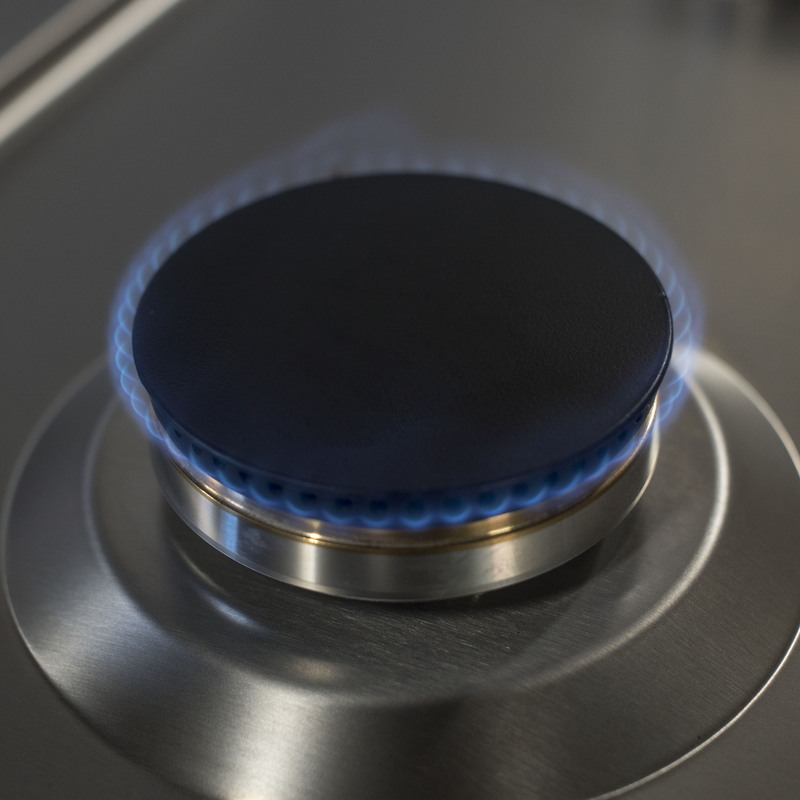 Cosmo presents this professional style slide-in gas cooktop. It’ll help you create meals like a professional chef in your own home. 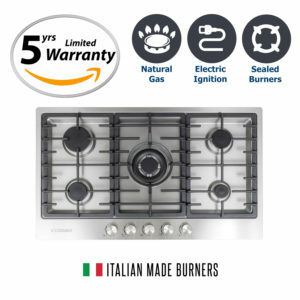 This cooktop features 6 gas burners including a 17,000 BTU Triple Ring Burner and 7,000 BTU Semi-Rapid Burners which allow you to cook from a high heat for boiling, frying or searing to a low simmer. 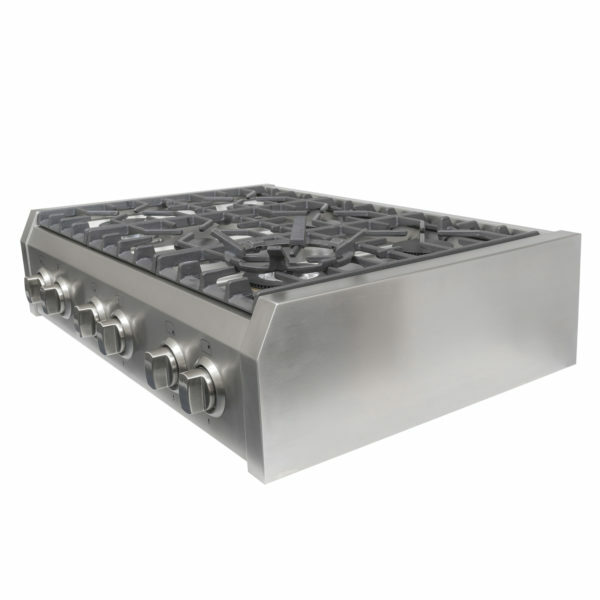 It also gives you the precise control demanded by serious cooks. 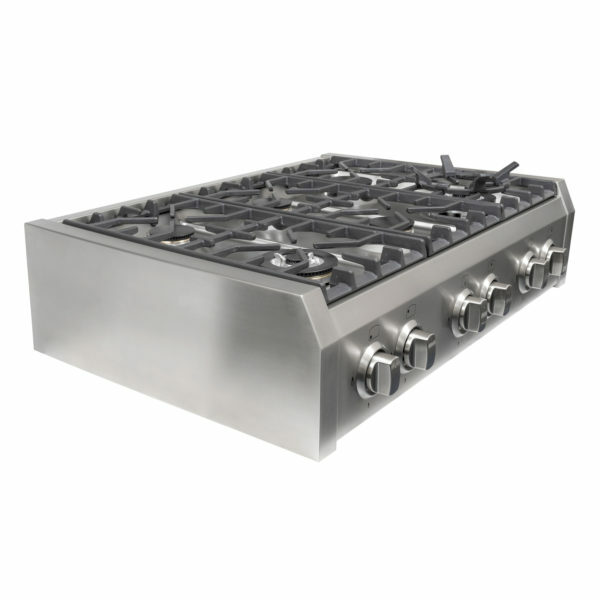 Removable accessories which feature a cast iron griddle and wok attachment (sold separately). 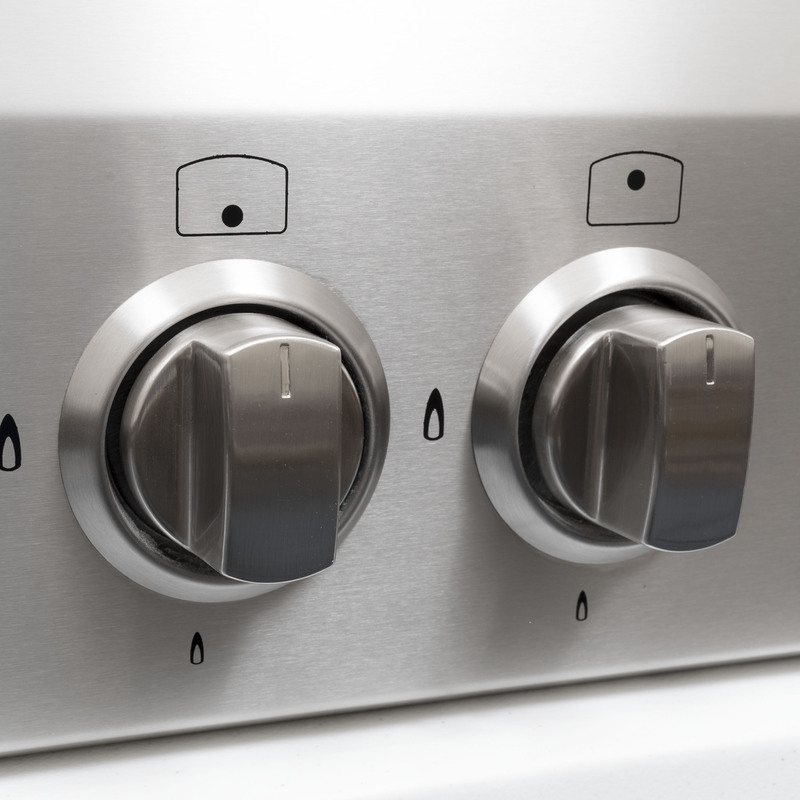 Front controls provide easy access to flame settings. 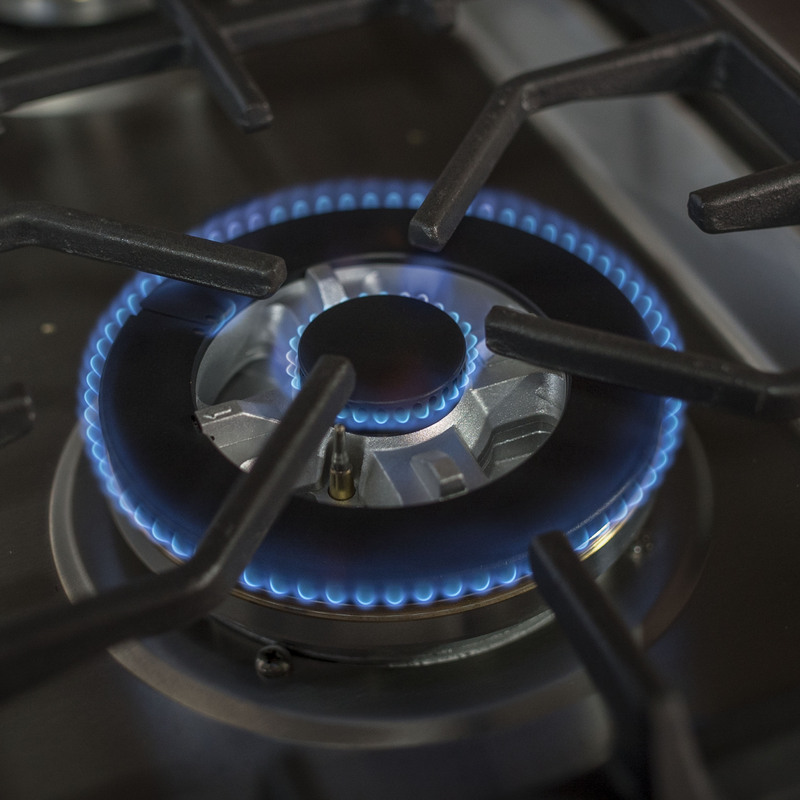 17,000-BTU and 15,000 BTU Triple ring burners for high heat searing. 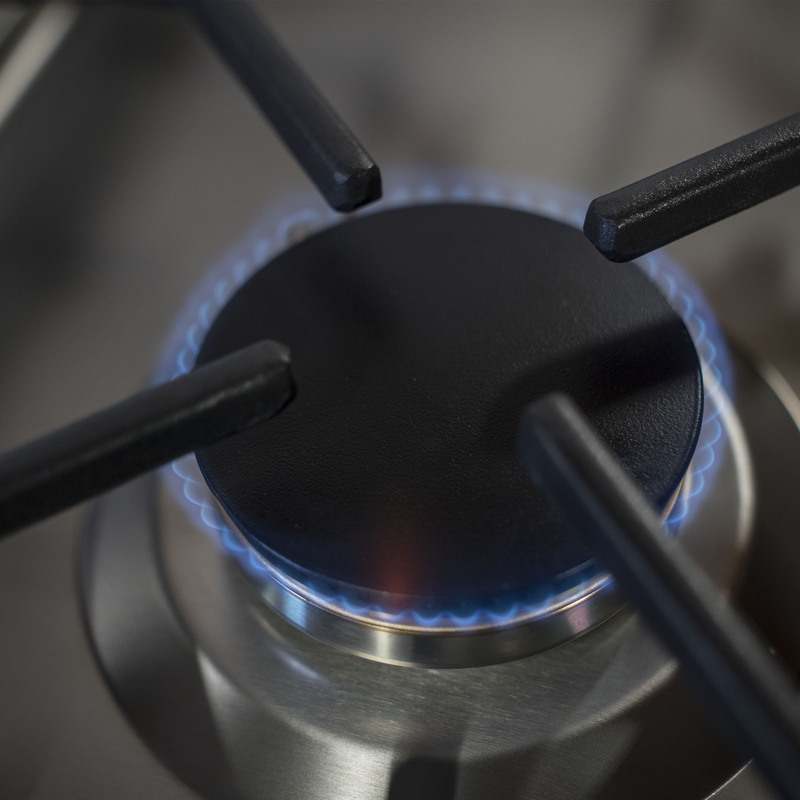 12,000-BTU Rapid burner for high heat cooking. (3) 7,000-BTU Semi-Rapid burner for all forms of cooking. Stainless steel cooktop surface makes cleanup easy. 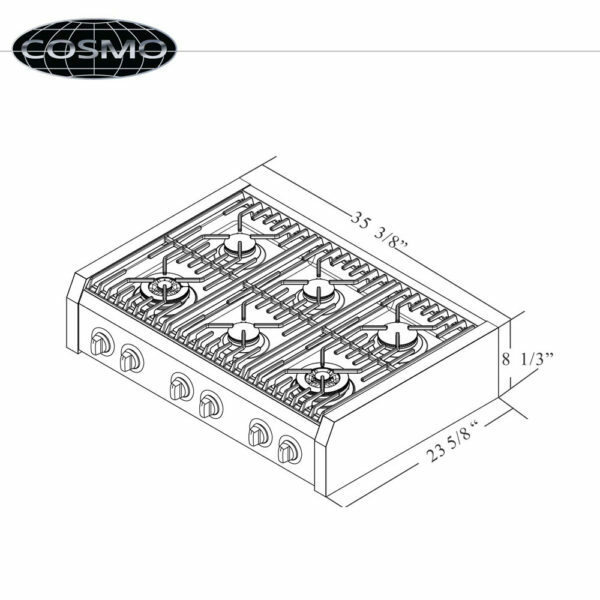 Cast iron grates provide long lasting use and durability. Solid metal knobs are durable and heat resistant. 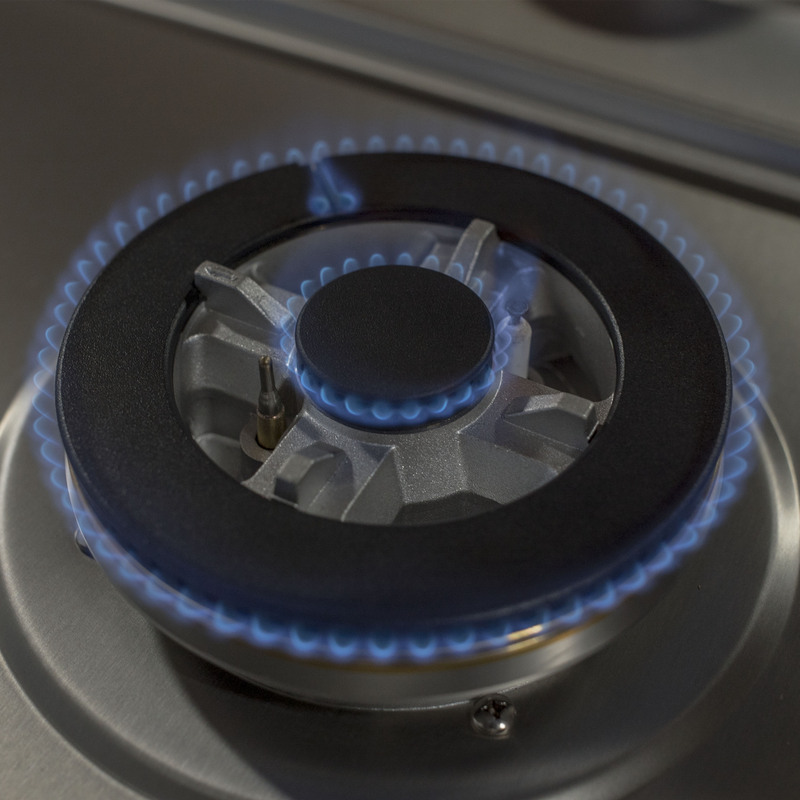 Electronic ignition for safety and efficiency. 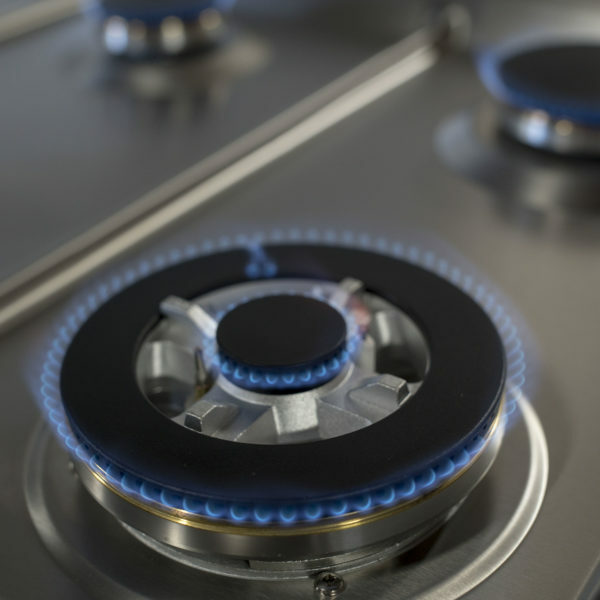 Flame failure technology for added safety. Looks great in my kitchen. Nothing is plastic on this rangetop its all quality metal construction that’ll last for years. 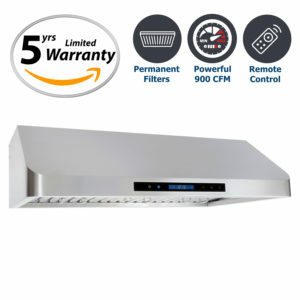 Good job premium appliances for carrying this at such a low price. This thing is massive, the pictures don’t do it any justice. It got delivered from a truck and pallet. In person its very stylish in my kitchen and does a good job cooking everything I make. 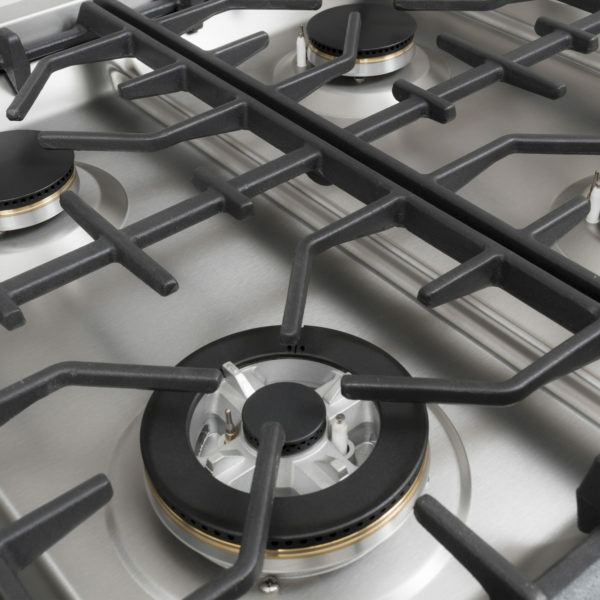 I got this stove installed into my island. The performance is excellent with a lot of power in the burners. Everything is solid and I like the cast iron grates which I know will last me a long time.